A discretionary portfolio service that seeks to mitigate Inheritance Tax by investing in a carefully selected portfolio of Alternative Investment Market shares. Our award-winning Puma AIM IHT Service has been in operation since 2014 and continues to deliver strong overall returns for investors. Since launch, the service has achieved a Compound Annual Growth of 6.44%, and an outperformance of the FTSE AIM All Share Index of 23.11%1 since inception. Shore Capital is an AIM quoted company itself, with a 31-year history in analysing and advising UK listed small to mid-cap companies. It is a leading market-maker on AIM and an advisor to a large number of AIM quoted companies. The investment team is led by an award-winning Investment Director with 19 years of experience, specialising in small and mid-cap companies. 1 All performance data is quoted net of management and dealing fees. Puma AIM offers a discretionary portfolio service that seeks to deliver long term growth whilst mitigating Inheritance Tax. It aims to mitigate Inheritance Tax by the use of Business Property Relief (BPR), which takes effect after just two years from the acquisition of qualifying AIM stocks. The minimum subscription to the service is £15,000, with no maximum. One key benefit is that you retain control over your assets, thus avoiding the need to gift your assets or place them in trust in order to mitigate Inheritance Tax. Puma AIM carries risk - see Risk Factors below. Puma Investments is an award winning investment manager, having won 'Best AIM Investment Manager' for a second year in a row at the Growth Investor Awards 2017. A 60 second video explaining how to inheritance tax proof ISAs. In 1995, the London Stock Exchange launched a junior stock market for small growing companies - the Alternative Investment Market (AIM). AIM allows investors access to growth companies, as well as giving these companies access to investor capital without the limitations and costs that come with a full Stock Exchange listing. 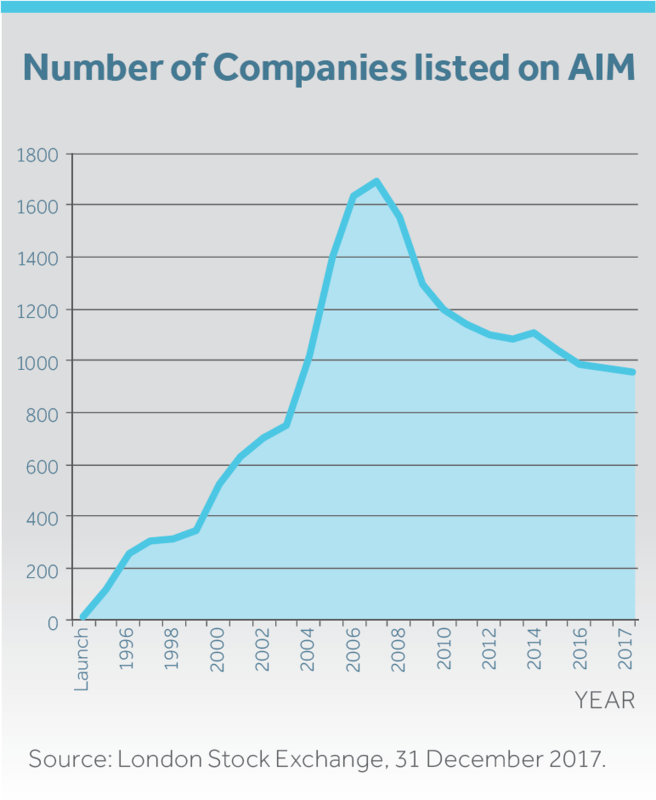 AIM is now home to just under 1,000 companies, joining either through Initial Public Offerings or by moving from the main market. The total market value of AIM (as at 31 December 2017) is £106.8bn. 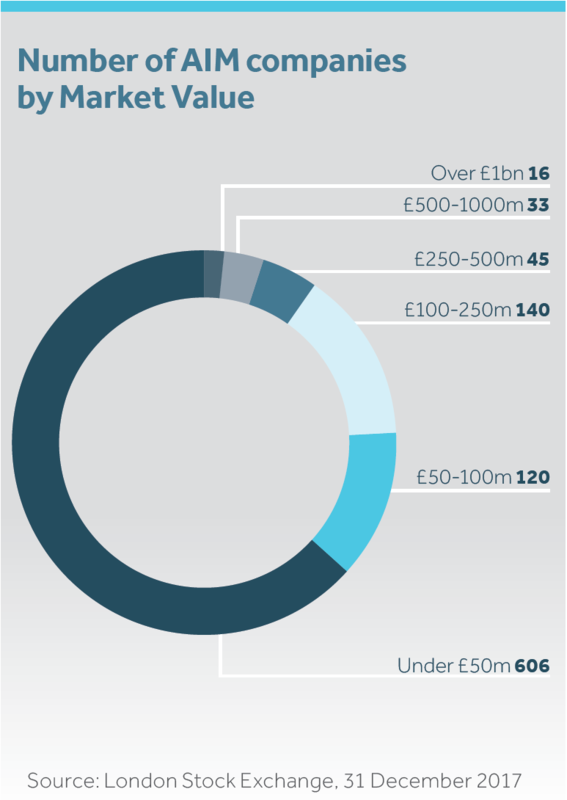 While AIM is traditionally associated with smaller companies, the composition of the market has developed; (as at 31 December 2018) 354 AIM-listed companies with a market value of at least £50m, and 16 companies with a value greater than £1bn. 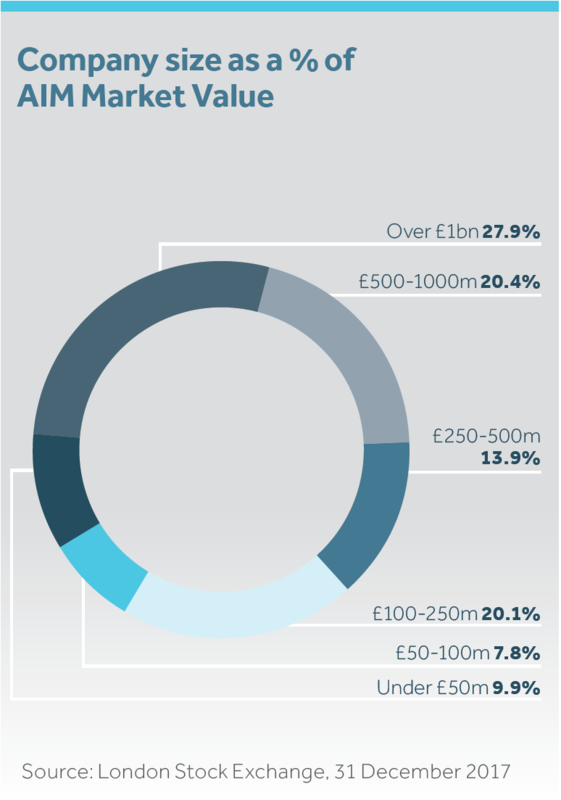 AIM’s largest company has a market capitalisation of £5.6bn. The Puma AIM Inheritance Tax Service targets investments in companies listed on AIM that benefit from BPR. To qualify for BPR you (the investor) must retain beneficial ownership of the underlying shares. This is achieved via a discretionary portfolio management service. The investor can access this through either a new or existing ISA account, an investment account outside your ISA or a combination of the two. You can even transfer from your investment account to your ISA as your ISA allowance becomes available (please note this will incur dealing fees). We focus on investing in quality companies with strong margins, good returns and a track record of cash generation. We select companies on strict valuation criteria with a focus on capital preservation. We seek to invest in companies which can deliver solid long term growth. Our approach is research driven and we only select investments after intensive financial and business analysis. Under current UK legislation, an individual’s estate worth more than £325,000 (the nil rate band) is subject to 40% Inheritance Tax, payable after death. For married couples, no tax is charged on the first death if the entire estate is left to the spouse. On the second death, the two nil rate bands are available (£650,000). The value of an estate (minus any outstanding allowable debts) includes not only the assets (such as properties and investments) but also any gifts made in the seven years prior to death, as well as life assurance policies or pension plans not held in trust. The Service seeks to invest in companies that benefit from Business Property Relief (BPR). BPR is a relief by which investment in certain types of businesses and business assets can receive 100% relief from Inheritance Tax after just two years. This includes many (but not all) of the companies listed on AIM. The purpose of this relief is to encourage the support of small and medium size trading businesses. These businesses are often family owned and controlled and would be significantly impacted should their owners be subject to Inheritance Tax on their transfer between generations. In addition, as of April 2015, no stamp duty is charged on purchases of AIM Shares. Investing in AIM stocks can significantly reduce your IHT liability. Tax reliefs depend on individual circumstances, minimum holing periods and may be subject to change. The Puma AIM Inheritance Tax Service is also available in ISAs. This allows you to add Inheritance Tax relief to the Income Tax and Capital Gains Tax relief that an ISA already gives you. Whilst ISAs are extremely tax efficient during the holder’s lifetime, upon death ISA balances may be subject to a 40% IHT liability. Investing in a BPR-qualifying portfolio of AIM stocks allows you to mitigate Inheritance Tax while still retaining the benefits of an ISA. It is easy to start a new ISA as the minimum subscription for the Puma AIM Service of £15,000 is less than the current annual ISA allowance. 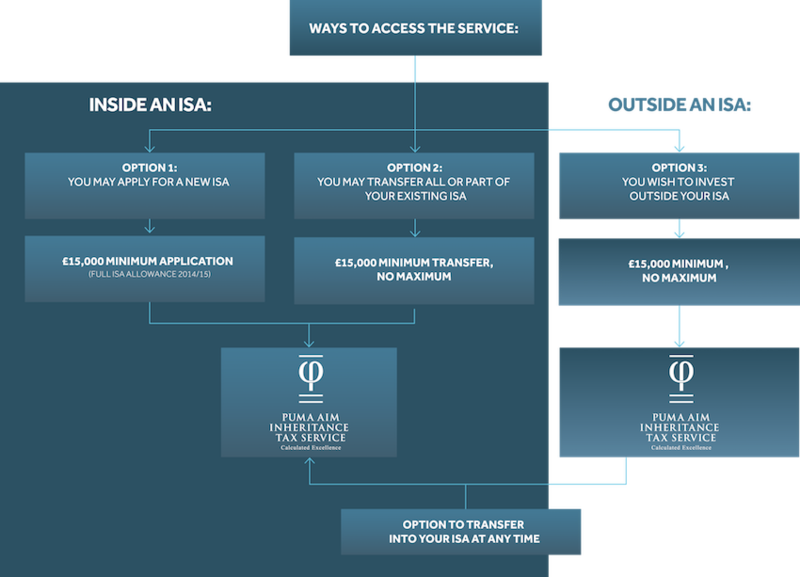 Of course, you can transfer in all or part of an existing ISA to enable you to benefit from the Puma AIM Service. An investment in BPR qualifying AIM stocks allows you to mitigate Inheritance Tax while retaining the tax benefits of an ISA. 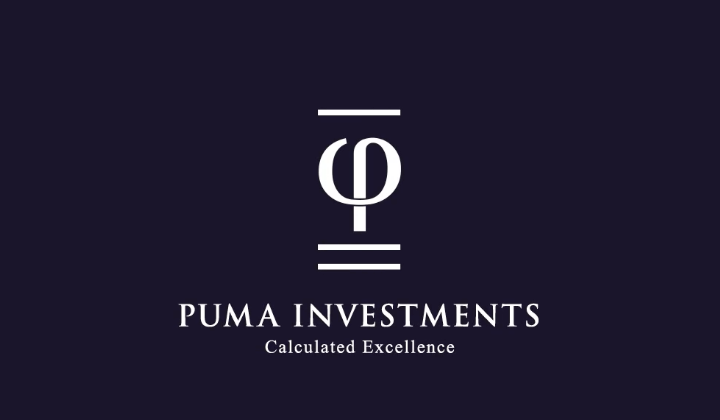 The Puma AIM Inheritance Tax Service is managed by Puma Investments. Puma Investments is a trading name of Puma Investment Management Limited which is authorised and regulated by the FCA. The management team at Puma Investments have a 20 year track record of investing in small and medium sized enterprises. 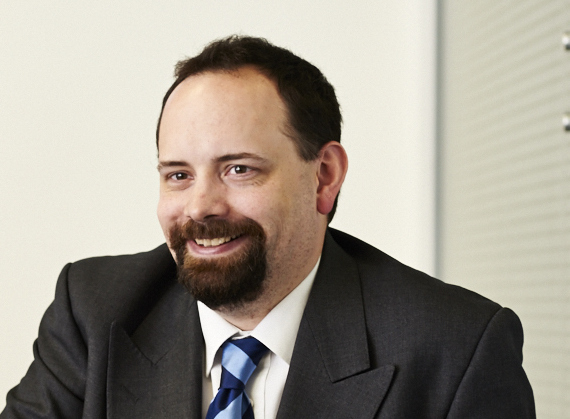 Justin has 19 years experience of analysing UK and European small and mid-sized companies. He spent 8 years at Polar Capital as a Fund Manager on their European Funds where he managed a significant portion of their award winning European Forager Fund; an absolute return fund focused on Pan-European small and mid-sized companies. He was also responsible for investment across the whole of Europe, but predominantly focused on the UK, Germany and Switzerland, including companies listed on AIM. The costs of establishing the Service, legal and taxation advice costs, the costs of preparing and issuing the Investment Details and other direct expenses incurred will be borne by the Manager out of this initial fee. An investment in the Puma AIM Inheritance Tax Service may not be suitable for all investors. 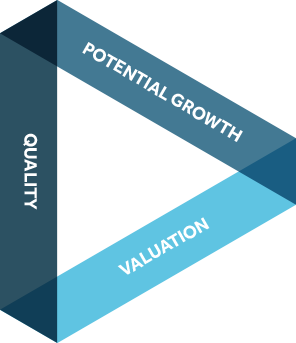 Investors can only invest in the Service through a Financial Adviser who has assessed that an investment in the Service is suitable for the investor and meets their objectives, that they have the expertise, experience and knowledge to understand the risks and that they are able to bear the associated risks involved in such an investment. The risks set out below do not comprise all those associated with an investment in the Service. Additional risks and uncertainties currently unknown (such as changes in legal, regulatory or tax requirements), or which the Manager currently believes are immaterial, may also have a materially adverse effect on the financial prospects of the Service or on the value of investments made. The Puma AIM Inheritance Tax Service has been designed to protect your investment from Inheritance Tax (IHT) after two years, assuming you hold the investment at death. Tax rules may change, which could affect the reliefs available for IHT purposes. Tax reliefs are subject to an individual’s personal circumstances and independent tax advice should be taken. To the extent that interest income is received before funds are invested in the Portfolio or that the Portfolio is held outside the Puma AIM IHT ISA, interest income and capital gains may be subject to tax depending upon your personal circumstances. We are confident in our ability to identify potential BPR qualifying businesses and we have engaged a specialist Tax Adviser to carry out a review of the investments made by the Service in order to advise whether these are likely to be eligible for BPR. While the Tax Adviser will also carry out an annual review of the portfolio, we can’t guarantee that all portfolio investments will qualify for BPR. If a company should be non-qualifying at the time of being selected for the portfolio or become non-qualifying thereafter, then any applicable BPR could be reduced accordingly. We cannot and do not provide tax or financial advice to potential investors and potential investors are therefore recommended to seek specialist independent tax and financial advice before investing. An investment in the Puma AIM Inheritance Tax Service should be considered a long-term investment. The value of your investments can go down as well as up, so you may not receive your full amount invested. An investment in smaller companies is likely to be higher risk than many other investments. Companies quoted on AIM are likely to be more risky and have less rigorous listing requirements than companies quoted on the main list of the London Stock Exchange. Dealing costs may be significant, particularly in respect of a relatively small investment in the Service. Success of the Service will depend to a large degree upon the skill and expertise of the manager and the continued availability of the key Management Team. The past performance of the Puma AIM Inheritance Tax Service, Puma Investments, the funds Puma Investments manages or the companies it advises, is not a reliable indicator of future performance. Future performance may be materially different from past results. There is no guarantee that can be given as to the overall performance or level of return that can be achieved from investments made, or that the objectives of the Service will be achieved. AIM stocks are largely small and illiquid. They are characterised by significant spreads and low trading volumes. A sale of such shares may be difficult, slow and only achievable at lower than indicated market price.